Lock in a great price for Hotel Arcanjo – rated 9.2 by recent guests! Super friendly and helpful staff. Clean place, good breakfast, if basic. Good location near coast. Neighborhood modest, but with character. We had to catch a flight in the morning and would miss the breakfast so they provided us with food in our room the night before which was nice. Good breakfast, clean place, easy to find, easy checkout, close to the beach. Staff was really nice and helpful. Hotel is amazing. Very clean and they were so kind leave me breakfast in the room the last night because I had to leave at 4 in the morning. Wonderful staff: sincerely helpful and working 100% for the guest. Upon check-in, a super-friendly gentleman at reception successfully made an extra effort to give me a room with sea view. 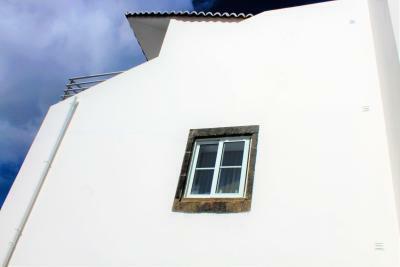 Great location, 100 meters from the sea shore with natural pools and close to Ponta Delgada. Restaurants within walking distance. Good breakfast as well. Clean and functional. Everything was lovely! Room really nice, staff extremely nice and good breakfast! We had to leave at 5 in the morning so they brought us breakfast to our room the day before, although we didn't ask for it! Perfect hotel! Big thanks to all hotel stuff. They made our stay a pleasure. Hotel Arcanjo This rating is a reflection of how the property compares to the industry standard when it comes to price, facilities and services available. It's based on a self-evaluation by the property. Use this rating to help choose your stay! Hotel Arcanjo is housed in a 19th century building that combines traditional and modern design. 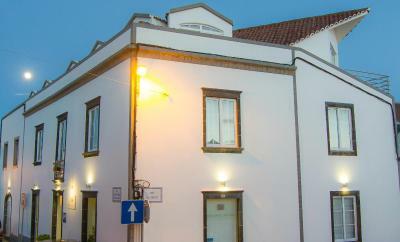 It is ideally located 150 feet away from the beachfront, south of the São Miguel Island. House Rules Hotel Arcanjo takes special requests – add in the next step!